Although Raspbian offers a WordPress package in its online repository, I'm going to install the latest version from the WordPress website. The software is changing quickly, and the developers frequently provide new versions and updates. Raspbian Wheezy contains WordPress 3.6.1, Raspbian Jessie has version 4.1. At the time of writing, the latest stable WordPress release was 4.3.1. To download WordPress, you can use the shell command wget. The copy of the latest version is always available at http://wordpress.org/latest.tar.gz. Change into the directory /var/www/html and move all existing index.html or index.php files to another location. Then, grab the WordPress package (Listing 1). Now, extract the tarball and move the contents of the new folder wordpress to the current directory (Listing 2). You can delete the empty folder and the tarball after that. The next steps are going to happen in a web browser. Open http://IP-address in your browser or reload the page if it's still open. Replace IP-address with the actual IP address. You should see the WordPress setup page (Figure 6). Click the Let's go! button to start the setup routine. Figure 6: The WordPress setup happens in a web browser. Next, you can fill out the basic site information. Enter wordpress into the Database Name field, the User Name is root, and Password is the password you set up during the MySQL installation. Don't change the Database Host (localhost) and the Table Prefix (wp_) fields. Press Submit to continue. If you see an error message like – Sorry, but I can't write the wp-config.php file. You can create the wp-config.php manually and paste the following text into it – just copy the content shown in the dialog below to the file wp-config.php. You can create it in a text editor, and it belongs in the same folder as the rest of the WordPress files. After saving the new file, go back to the browser and click Run the install. Fill out the information of the welcome screen: Give your site a title, create a username and password for access to the admin panel, put in your email address, and untick the search engines box. 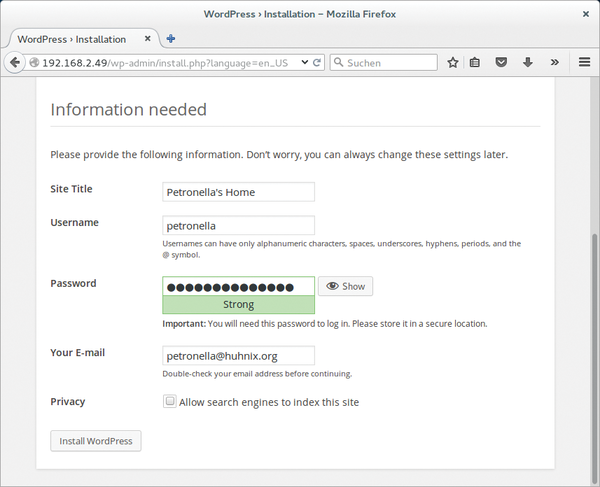 Hit the Install WordPress button (Figure 7), then log in using the account you just created. 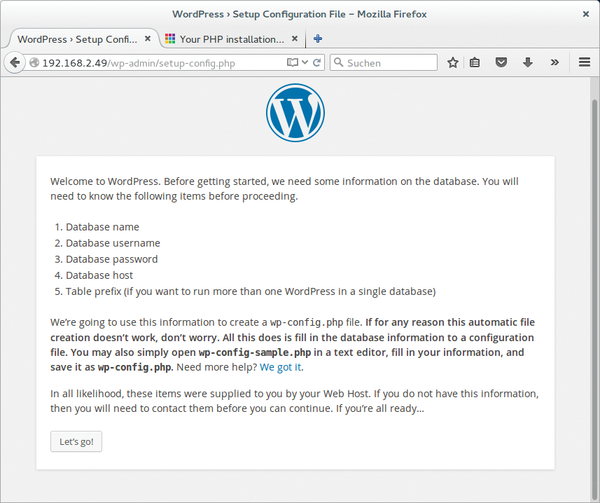 Figure 7: Give your new WordPress website a title and create a username and a password for access to the admin panel. You can access and control the Raspberry Pi camera module from your favorite browser using the RPi Cam Web Interface software.